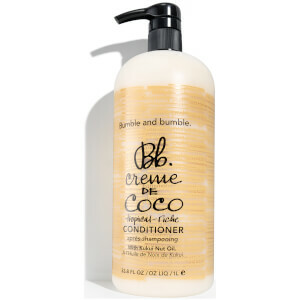 Bb Creme De Coco Shampoo is an extra mild, luxurious cleanser with a belnd of moisture-rich ingredients including coconut and murumuru butter to help restore moisture, shine and softness to dull and dry hair. Murumuru butter will improve flexibility and tame frizz whilst mallow and milk will soothe and protect. Aplique no cabelo molhado. Faça espuma com uma pequena porção nas palmas das mãos. Massaje. Enxague abundantemente.